Happy Friday friends!! I'm pretty pumped for this weekend since it's starting off a bit early for me with a half day at work and comedy show tonight!! I can't remember the last time I did something on a Friday! Recapping my favorites from this week with Amanda and April. Living in New England has it's perks and they come in the form of lobsters!! I'm going to attempt to make a homemade lobster roll with this recipe! 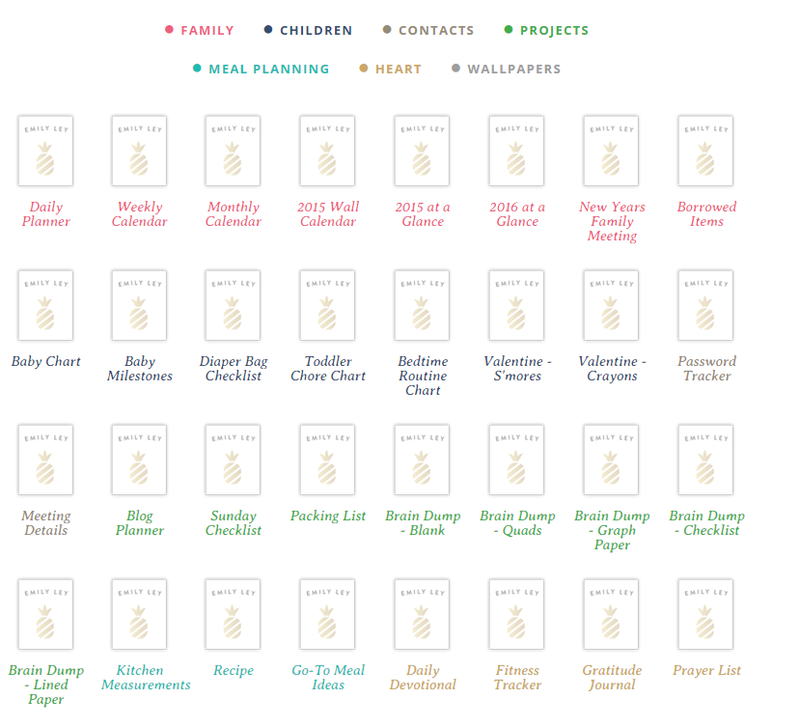 I have somehow been living under a rock because I had no idea that Emily Ley, owner and creator of the Simplified Planner had a site full of free printables! I'm a self proclaimed list-aholic so I've already printed out the Blog Planner and The Daily Planner - yes on top of the notebook and actual calendar I have! I'm not sure Kendall Jenner could be any more gorgeous! She looked flawless in this red/orange Halston dress! via I have a thing for IKEA hacks and when I found these two I couldn't wait to share and maybe even recreate it sometime soon!! I really love how easy both tutorials are to follow! That's a wrap for this week! Hope your first official summer weekend is a success! Oh my goodness, lobster rolls are my favorite, but it's hard to find good ones. Can't wait to hear how yours turn out. That dress is gorgeous and I LOVE those Ikea hacks! Poms are a fave this season, too! I haven't had lobster rolls since I was up in Maine a couple years ago and MAN were they good! Loving Kendall's look (she really does look flawless) and all of your home pins! Absolutely perfection. Have a great time at the comedy show tonight!! So jealous of your half day! And I definitely can't show my mom that lobster roll recipe while she's here or she'll be trying to make it haha! And love Kendall's look. WOW! I repinned your Ikea hack already too haha! 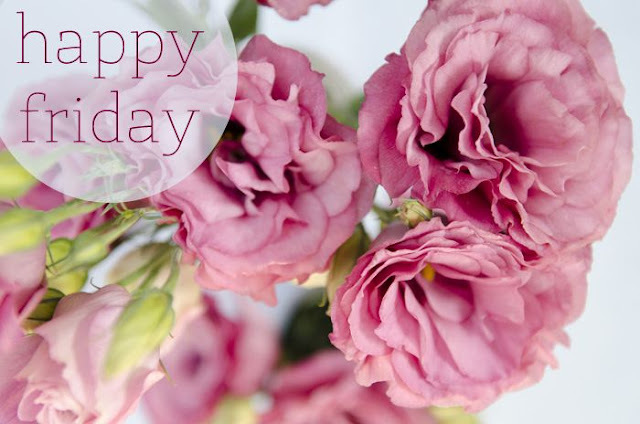 Have an amazing weekend gorgeous! I love that bedroom arrangement! I'm wanting to redo my room and love to see new ideas! Have a great weekend! Oh my! Kendall did look stunning! And can we talk about those lobster rolls?? I wonder if I should be brave enough to try to fix them.. YUM! Have the best weekend, girlie!! Especially since it's starting earlier than usual!! That's so funny I love Ikea hacks too, and I feel like that subject should be its own Pinterest board! Can't wait to check these out. Have an amazing weekend! I love how simple and understated Kendall looks. Love Ikea hacks. Hope you have fun at the comedy show!! Love this post! 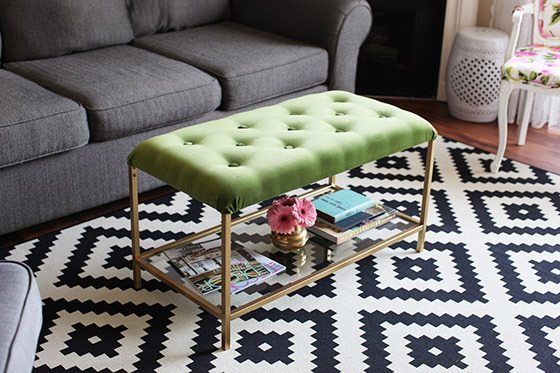 Those DIY ottomans look SO fun! I definitely want to give it a try. Yay for a half day and comedy show tonight, so much fun! And love IKEA hacks, those ottomans look awesome! Checking out those printables right now!! I have been thinking about buying some new planners to keep me organized at work, but why do that when I can get something great for free?! Have fun at the comedy show and enjoy your weekend! OH yes... free printables! You just made a bunch of ladies happy with that recommendation. Have fun at the comedy show - I ADORE comedy... the hubs just don't care for it. I could go listen to comedians every weekend! Omg that lobster roll looks so amazing!! I actually have never tried one but I really need to! Kendall looks drop dead gorgeous! Girl has been killing it! I'm obsessed with pom poms for fall too! I love that IKEA hack! I've never tried a lobster roll, can you believe it?! Have fun tonight at the comedy show - I love going to those! Oh man that Lobster roll looks amazing! 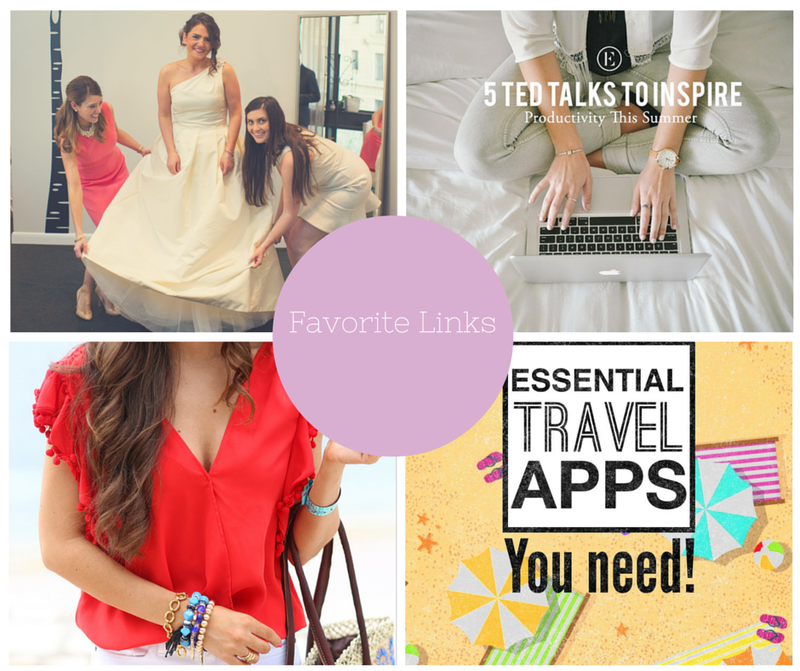 I am pinning almost everything you shared o keep in mind this summer. Yes to pompoms this summer that and tassels are my jam! Love this round up! Thank you for sharing that free printable site! And that dress on Kendal is ah-mazing! Happy weekend!! Love those Ikea hacks! I need to do those for sure! Hope you have a wonderful weekend, girl! Those travel apps are so fantastic. Thanks for posting about them. You do find the best apps, I have learned so much from you. Have a great weekend. I'm glad I'm not the only list-aholic around! I'm always up for a free printable! I have been loving adding things to my Midori, so I'll have to check that out! That ikea hack is beautiful! Yay! What a fun Friday you have planned! I don't think Friday's should count as the weekend because we are all too exhausted from the work week to every do anything but relax at home on a Friday night, ha ha! Eric is still daydreaming daily about the lobster rolls he had in Boston :) I have no doubt that yours will turn out perfectly! Happy weekend! Hold the phone - she has a site full of free printables?! On my way now... #lifechanged. Have fun at the comedy show tonight, that sounds awesome!!! & those lobster rolls look deeeelish! How did I not know about these free printables?! I love making to do lists as well so I need to check this out this weekend! Can't wait to hear how the lobster roll comes out -- it looks amazing! Have fun at the comedy show tonight and a wonderful weekend! Hurrah for a half day! I'm doing something on a Friday night for the second week in a row. Will my old person status be revoked? Also had no clue about the Emily Ley printables! Thanks so much for sharing! Enjoy comedy night! Always so fun! Okay, so if the lobster rolls are a success you MUST share the recipe! So yummy! Love Emily's printables. They are an obsession of mine. And TED talks are one of my favorite things to listen to. So good! Enjoy your half-day and your Friday plans!!! :) Luckily my Friday plans are just down the street from work... hopefully this old gal can hang hehe! I LOVE Emily Ley's free printables, they are super cute and helpful! Have so much fun tonight! It's funny - my husband just asked if I wanted to go to a comedy show tonight. I cant though. I have a blog conference tomorrow early and I am too old to do both, lol! I also LOVE Ikea Hacks! There is a blog I follow called Ikea Hackers (https://www.bloglovin.com/feed/blog/2301015) and they show all kinds of impressive changes they make! I have not completed one but I am obsessed with them! I am most definitely a listaholic too so I'm going to need the blog planner and a few others printables! lol Have fun at the comedy show tonight!! Enjoy your half day!! I am craving a lobster roll – any favorite spots to get one in Boston?! That green bench would go perfect in our guest room and we’ve been on the lookout for one! Kendall Jenner is so gorgeous. Easily the most naturally pretty sister. I'd love to try a real lobster roll one day! I've had one here in Charleston but I'm pretty sure the meat was imitation! Oh my goodness those free printables are great! Thanks for sharing the Ted Talks! I always forget to watch those, so I'm glad you shared good ones to watch!!! Happy Friday girl - hope it's a great weekend! oh man would I ever be proud of myself if I made lobster rolls! Kendall Jenner totally has been killing lately! She is so gorgeous! :) Thanks for sharing those links, too! Have fun at the comedy show! Love those diy benches! I am taking off a few hours early too!!! Yay! That Halston dress... omg that is freaking gorgeous!!! And the shoes... perfect! Yay for half days! 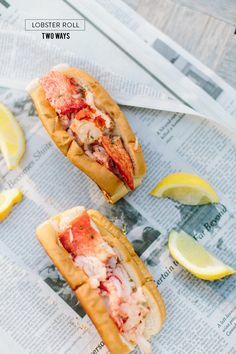 New England lobster is amazing-I could definitely go for a lobster roll! Those lists look amazing-I need to print out that blog planner! :) Have a great weekend! Okay first off, the lobster roll looks amazing, I had one in Maryland and it was delicious! Kendall Jenner seriously looks amazing 100% of the time. I had to stop following her on Instagram because she's so perfect I couldn't handle it! Just the most flawless human. Lastly, that bedroom is absolutly perfect. I love the Dalmatian-y print bench - sooo cute! Free printables, you say?? I'm on my way! ;) have a great weekend Biana! That lobster roll looks delicious! Kendall Jenner also looked amazing. She is my favorite Kardashian! Just printed the fitness tracker from the website! Hope you have a great weekend! I'm checking out her site right now for more printables! How fun! Ohhhh I am loving those Ikea hacks!!! I need to get down with my crafty side. Have a great weekend! You always have the best links! Those lobster rolls look amazing! I have an awesome giveaway up on my blog, I hope you'll check it out! Kendall looks so fab in that dress per usual! All of those Ted talks sound so interesting. I can't wait to start listening!! Fab favorites as always girl! Have a good weekend!! LOVE those printables! Thanks for sharing! And I've never had a lobster roll but they sound so good. I need to try one! Have a great weekend, Biana! Those sandwiches are yummy! Love the free printables too and pom-poms and tassels - I love them both and I need some clothing with them. Hope you enjoy your comedy show :) Those lobster rolls look sooo good. I'm hoping to go to Boston this summer so I hope I get to eat some proper New England lobster rolls. Kendall is totally killing it in that dress! Drooling over the lobster roll.. yummm. Off to check out the blog planner printable - thanks for sharing! Happy weekend! Those ikea hacks are adorable.... and I'm totally going be checking out those EL planner lists too!! I had no idea Emily had free printables either! Definitely checking that out. I also have been loving Pom poms - it's just so cute and fun. Hope you had a nice weekend! I need to try lobster rolls. I've never had one & they always look so delicious! I've been eyeing doing a coffee table like that! They just look so classy! that site with the free printables is like finding jackpot! guess i was living under the same rock lol.